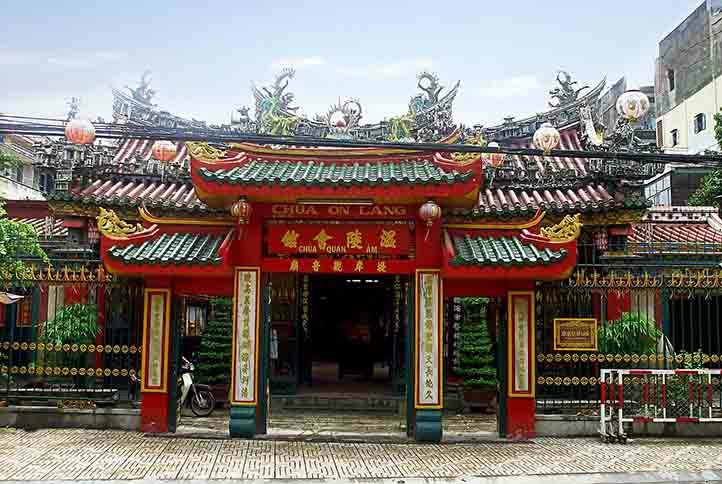 Quan Am Pagoda (On Lang) is a Chinese-style Buddhist pagoda, one of the most attractive and colorful temples in Chinatown area Ho Chi Minh City. 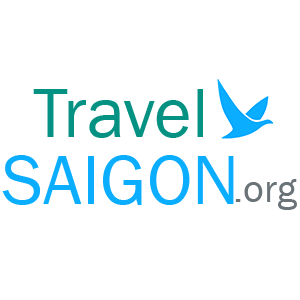 Founded in the 19th century, it was named after Guanyin (Vietnamese: Quan Am), the Chinese goddess of mercy and the Chinese form of the Indian bodhisattva Avalokiteshvara. The goddess’s name is usually shortened to Quan Am (she is also worshipped in China, Korea and Japan). The pagoda is popular among both Vietnamese and Chinese Buddhists. 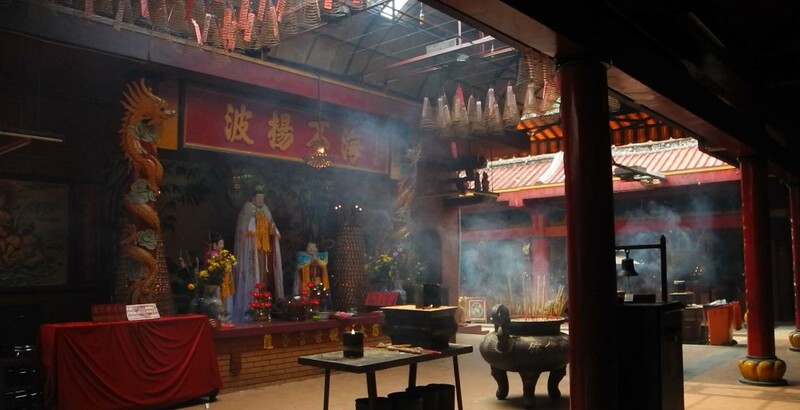 In addition to veneration of Guanyin and the teachings of the Buddha, the pagoda also includes Pure Land worship of the Amitabha Buddha (A Di Da Phat), elements of Taoism, and the folk worship of the Fujianese sea goddess Mazu in her role as the “Queen of Heaven” (Thien Hau). It has a wooden frame, tube-tile roof and beautiful decoration. Especially, the roof was decorated in French style. A combination of Buddhist and Taoist symbolism, the pagoda is dedicated to the goddess of mercy, Quan Am, whose statue dominates the inner chamber. 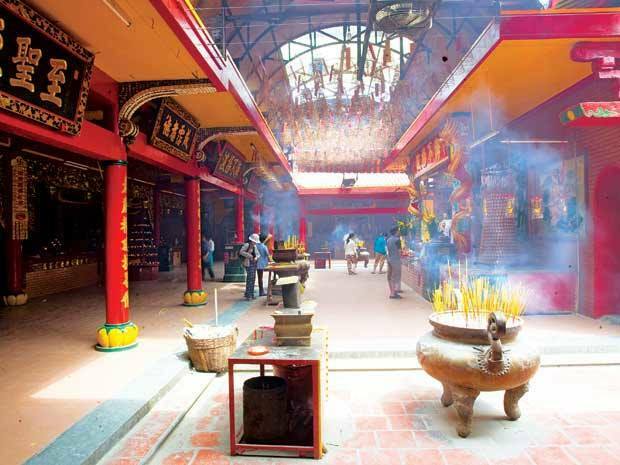 Visitors can also pay their respects to numerous other deities such as Thien Hau or The Lady of the Sea, the Jade Emperor and Amitabha, who is said to offer salvation through faith. It’s free to visit the pagoda, and for those who wish to fully understand the depictions within the pagoda, it would serve well to do a little background research before visiting.